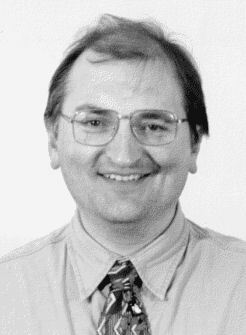 We are very sad to report that Dr Alan Vince, former Managing Editor of Internet Archaeology (1995-1999), has died. Alan studied archaeology at the University of Southampton and was awarded his PhD there in 1984. From 1980 to 1988 he worked at the Department of Urban Archaeology of the Museum of London and was responsible for the production of publications on finds and, alongside John Schofield, for the backlog publication programme which resulted in the publication of a series of books, monographs and reports on excavations in the City of London between 1974 and 1982. From 1988 to 1995 he was employed by the City of Lincoln Archaeology Unit as their Assistant Director and Post-Excavation Manager and then took up the post of Managing Editor of Internet Archaeology at the University of York in October 1995. He left in June 1999 to focus on his own archaeological consultancy work based in Lincoln. In addition to his work on the publication of excavations and artefacts, he carried out research into the distribution and trading of Anglo-Saxon, medieval and later pottery in England, Wales, Ireland and Scandinavia. His research interests were wide-ranging and included Anglo-Saxon and Medieval Towns, GIS and Urban Archaeology and Artefact Taphonomy. His professional interests extended to the dissemination and 'liberation' of data (such as his work on the UK Ceramic Thin-Section Database project), which he saw as necessary to make the post-excavation process itself more efficient, and for making data available for study. Alan was appointed as Managing Editor of Internet Archaeology in 1995 and worked part-time on the journal until 1999. He had a tremendous vision for the potential of electronic publication and worked with authors to create some first model exemplars of the genre. He set the standard for what was to follow and successfully oversaw Internet Archaeology through its formative issues. We remember his gentle sense of humour, and his wide knowledge, generously shared. He will be missed by a lot of people, both personally and professionally. Alan Vince: Full Bibliography (provided by BIAB).